I haven’t had this cake in years. But I was thumbing through my family cookbook and came across this recipe for “Pig Cake” from my Grandma and remembered loving it as a kid! I did a little bit of Googling, and best I can tell… this cake gets its name from its frequent and popular appearances at pig pickings. However, I think it’s name more aptly describes how “piggy” it will make you after the first bite! There are a couple of really cool things about this cake just in the prep stages. 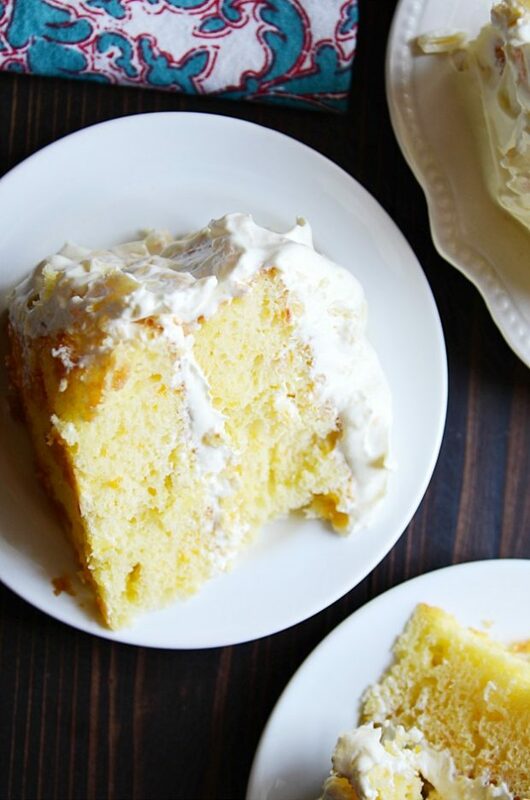 The first being that the juice from canned mandarin oranges majorly make up the liquids in the cake batter, giving this spongy cake it’s light and sweet orange and buttery flavor. Not to mention the juicy pieces of mandarin oranges in each and every bite. It’s seriously heaven. Next (and I think this is just too cool), the frosting is made from a mixture of Cool Whip, pudding mix and pineapple. Here’s the cool part: you actually use the liquid from the pineapple (instead of milk) to make vanilla pudding before adding the Cool Whip! Did you even know you could do that??! Maybe I’m just being a total nerd, but I think that is kind of mind-boggling. And awesome. ???????? 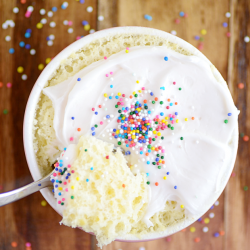 This cake is so easy to make, and it is honestly one of the best cakes I’ve ever eaten. No joke. 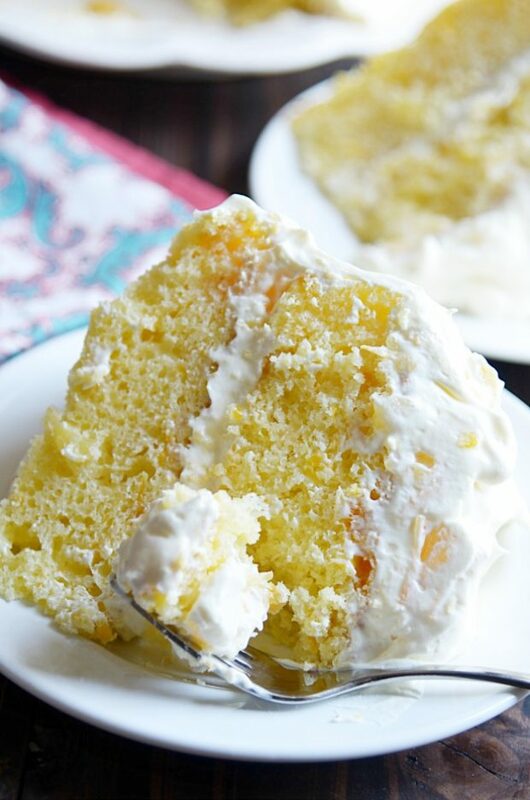 Moist, fluffy, buttery yellow cake filled with juicy mandarin oranges topped with a cool, creamy pineapple and whipped cream frosting– this is seriously the ultimate summer time cake! Make it for your next “pig pickin,” and be sure to bring copies of the recipe. Trust me, you’ll need it! 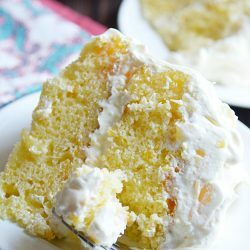 Super moist yellow cake filled with mandarin oranges with a creamy vanilla pineapple whipped topping. 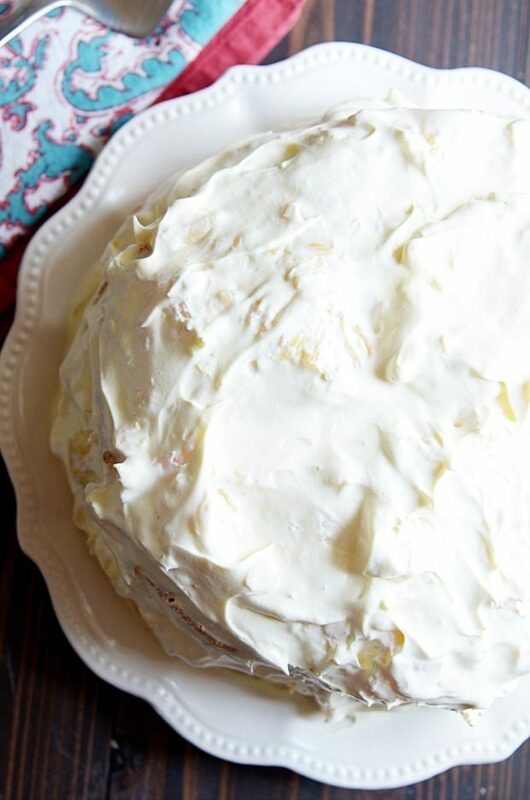 This cake gets its name from its frequent and popular appearances at pig pickings. But, I think its name more aptly describes how "piggy" it will make you after the first bite! Whisk together the canned crushed pineapple (with juice) with the instant pudding mix just until it begins to thicken. Fold in the Cool Whip. Cover and chill for about an hour (should be about the same amount of time it takes to make, bake, and cool the cakes). Preheat oven to 325ºF. Prepare two round 9-inch cake pans* with light cooking spray and parchment paper lining. Whisk together the cake mix, eggs, oil, and canned oranges with juice until batter forms. Divide the batter between the two prepared cake pans. Bake for 25 minutes, or until toothpick inserted comes out clean. Chill the cake for at least an hour before serving. *This is how my grandmother wrote the recipe. 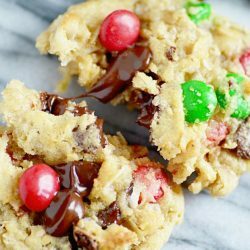 However, I think this recipe would be just as good (and easier to frost and serve) if made in a 9x13 baking dish. 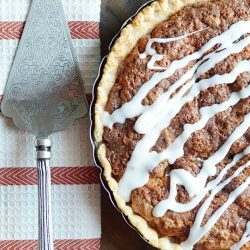 You'll need to adjust the baking time to be a little longer if you do it this way.